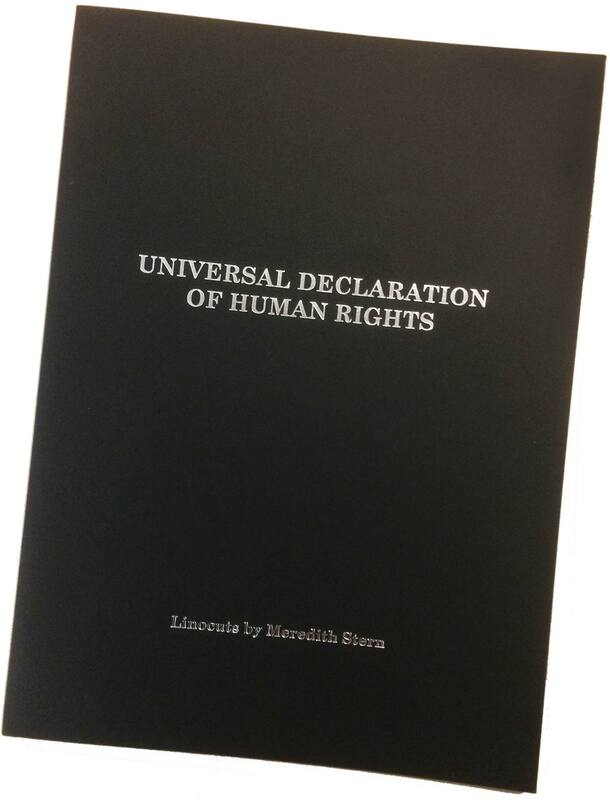 The entire UDHR project as one bound volume! 8.75 in. x 12.25 in. 22.22 cm. x 31.11 cm. 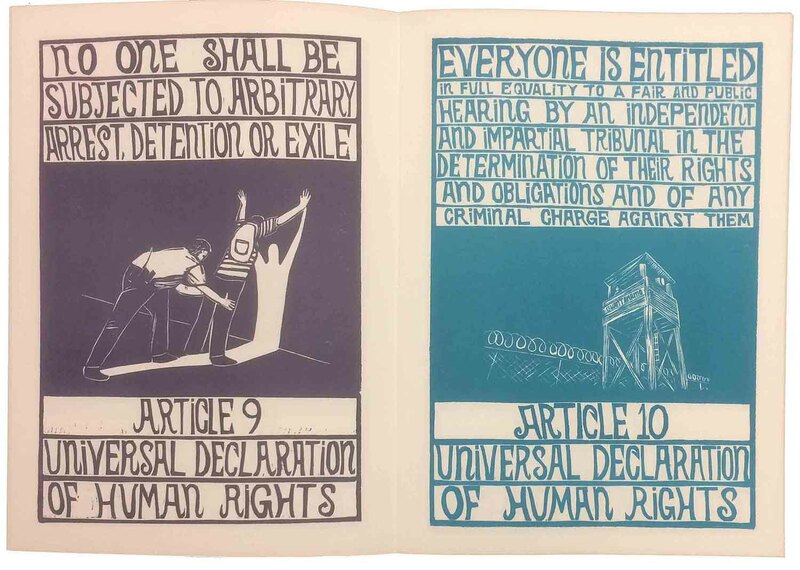 This is the second printing of the UDHR booklets. The first set sold out. This second printing is dated 2019 and has fixed spelling error and updated colophon page acknowledging the RISCA Fellowship grant which helped make this re-printing possible. 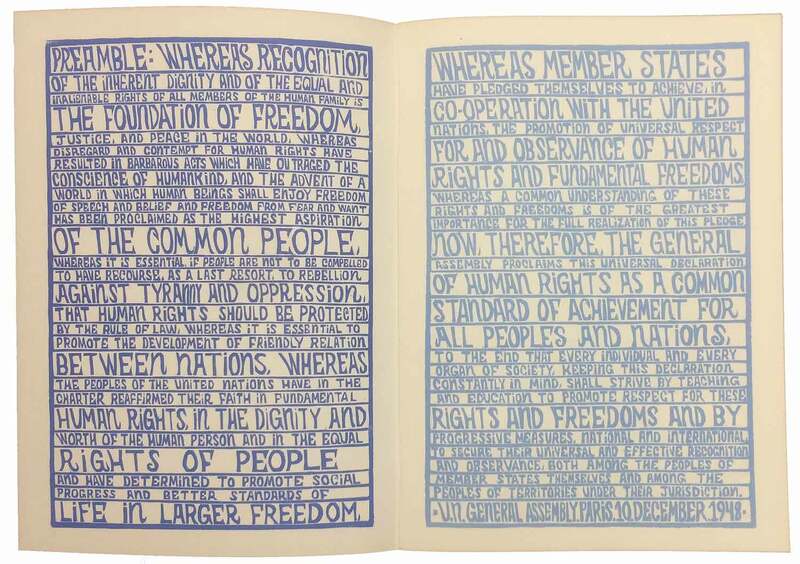 This is a 9 color offset printed booklet of the 30 Articles and preamble of the Universal Declaration of Human Rights! 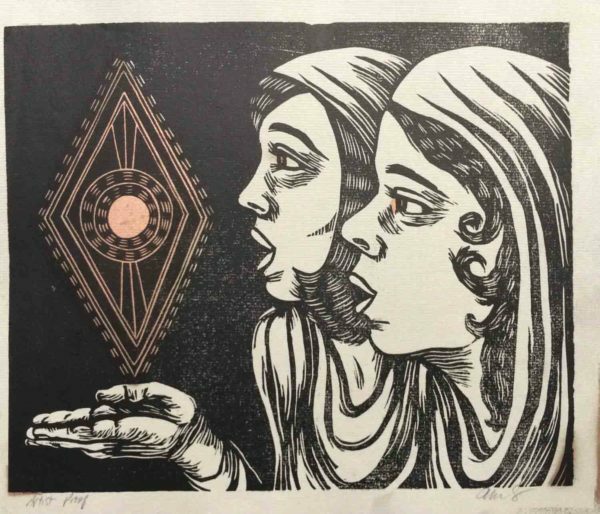 Each page is an illustration from the handcut relief prints Meredith has been working on throughout 2016-17. The cover is printed with silver foil letterpress. In March of 2016 Loretta Ross lectured at Brown University and spoke about fighting for reproductive justice through a human rights framework. Her lecture inspired me to investigate the UDHR. 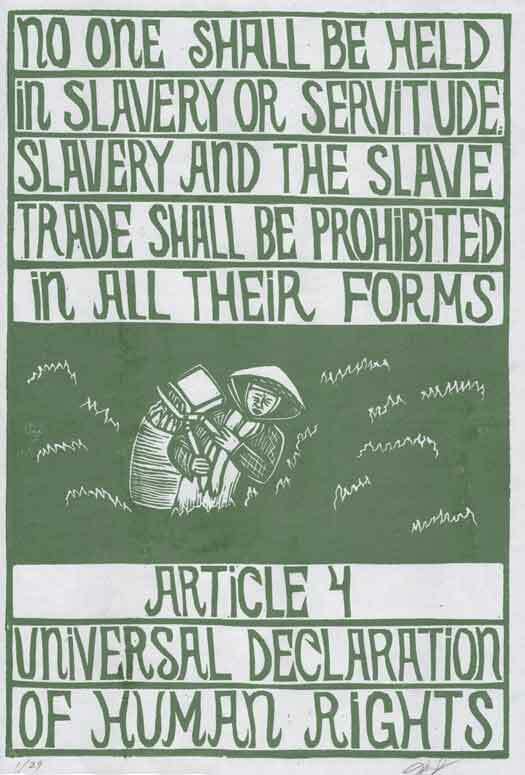 I was struck by this powerful global effort to create a collective agreement to define the necessary freedoms and rights of the human race. This document can be a useful framework for working for justice. 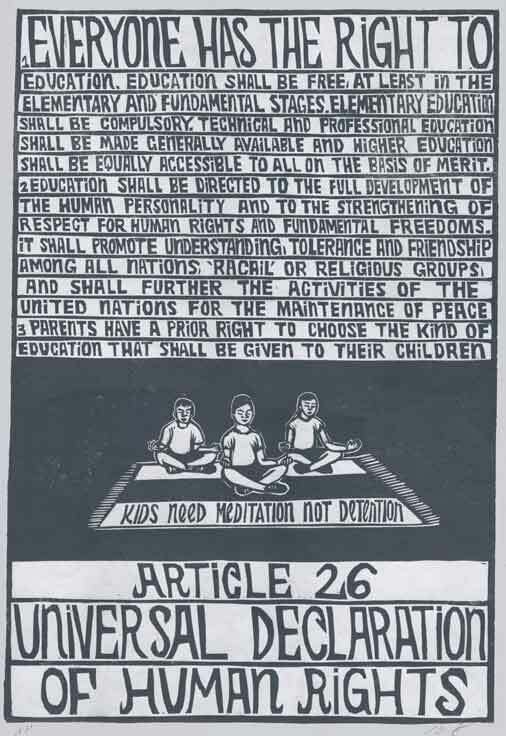 We are not taught this document in most educational settings. It is leaders like Loretta Ross who teach us to fight for freedom and justice through grassroots organizing to make institutions accountable to these values. This document alone does not protect us from our governments’ abuses of power. This document does not hold institutions accountable when human rights are being violated. We must remember that institutions and governments will not protect or save us. It is mass movements, grassroots organizations, and our resistance movements that make change. It is our responsibility as humans to hold ourselves, our neighbors, and our leaders accountable to a global standard of human decency to ensure that human rights are upheld at all levels. The global fight for human rights is ongoing. Educate, Agitate, Organize. 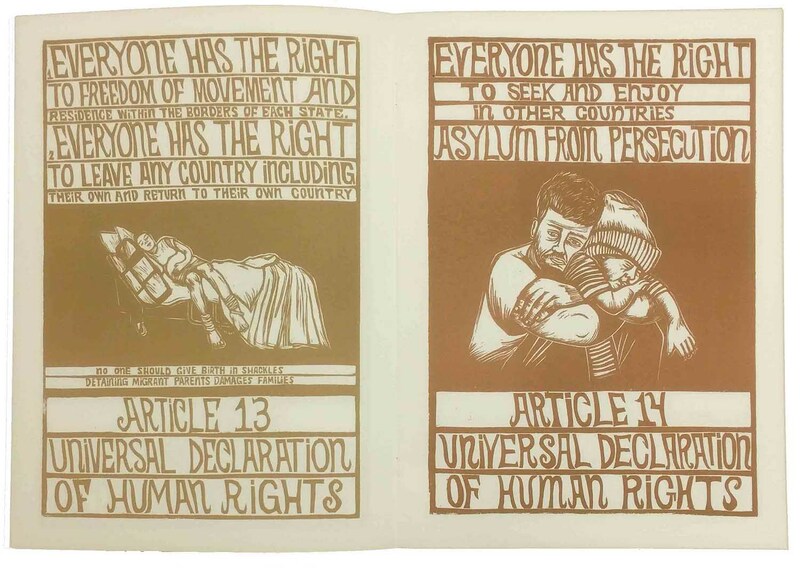 This project is an artistic interpretation of the Universal Declaration of Human Rights. Each article is presented along with images depicting areas where human rights are being violated in the United States. This includes issues such as human rights violations within our prison and policing system, mass incarceration, solitary confinement, the death penalty, lack of family leave at work, gender inequality in our pay, the poisoning of our water supply such as in Flint Michigan, and the list goes on. Printed at Black Cat Graphics in Providence, RI. 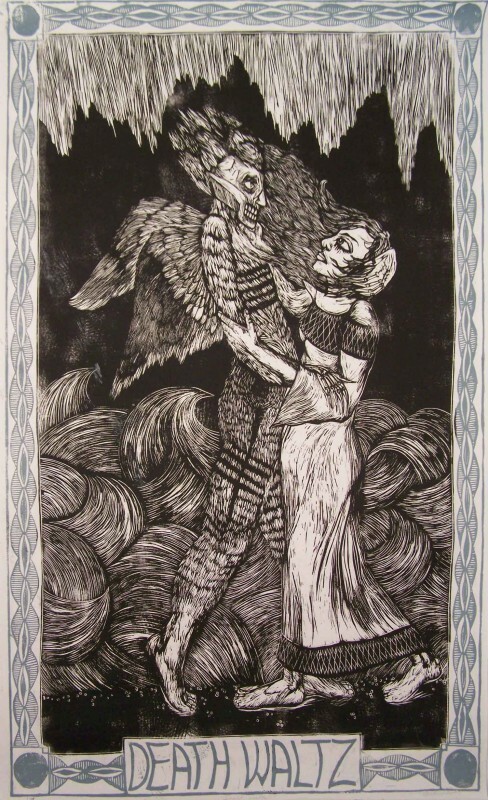 Individual linoleum block prints of each article are available here.